Home » Health » Oral Healthcare » How to Reverse Gum Disease on Your Own? An early form of gum disease can be reversed by daily brushing and flossing. Cleaning your teeth daily removes all the plaque and food debris, which are fundamental ingredients of tooth decay. We must treat gum diseases early on to prevent other serious problems such as periodontitis or even tooth loss. Just by taking proper preventive measures and visiting a dentist regularly can help us save our teeth from various dental issues. Serious gum infection can damage gums and can even destroy the jawbone. 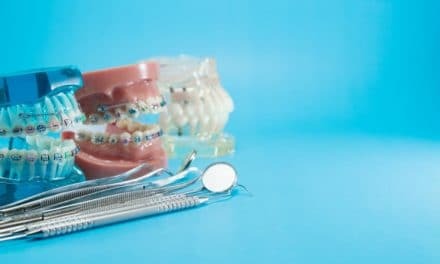 Prevention and treatment of gum diseases at the initial stages of the disease is very essential for your dental and overall health as gum diseases can be very uncomfortable and can lead to other severe conditions. Bleeding of gums while brushing and flossing. Bad breath and bad taste in your mouth. Loose teeth that may cause problems during cleaning. Pain around the area of inflamed gums. The bacteria in the plaque build over your teeth are the main culprit for your gum disease. There could be various other factors too that affect the health of your gum such as poor oral hygiene, smoking, hormonal changes in females during menstruation, medications causing xerostomia (dry mouth) and diabetes in which your ability to fight infection reduces. Sometimes, genetics also play a role in the inheritance of gum diseases that may run in your family. How can you reverse gum disease by yourself? At the initial stages the gum diseases are reversible and practicing good oral hygiene is very essential to reverse gum disease. Cleaning your teeth removes all the bacterial plaque from the surface of your teeth and prevents your teeth from unnecessary bacterial infection. Brush your teeth regularly with a soft-bristled toothbrush. Change your toothbrush in every three months. Floss at least once a day, because the brush is unable to reach between the teeth making it a favorable spot for bacteria to accumulate. Always keep your mouth moist with drinking lots of water. The quantity of saliva increases with increased water intake and Saliva helps in washing away the bacteria from both your teeth and gums. Eat health foods like fruits, leafy vegetables, meats and fish, whole grain products and dairy products, so you can boost your immune system and slow down the advancing of gum disease. Rinse your mouth with Hydrogen peroxide mouthwash, hydrogen peroxide helps to kill bacteria. Avoid munching on too many sugary foods. Green tea can be helpful because it has antioxidants that can reduce inflammation. Rinse regularly with Luke warm saltwater as it reduces swelling and inflammation. How your dentist can reverse your gum disease? The routine dental checkups to your dentist are always important regarding the health of your gums. 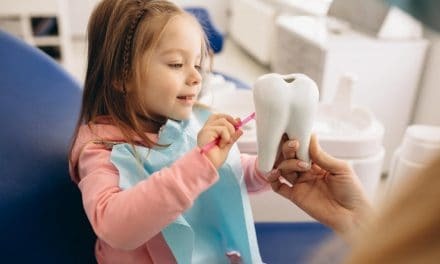 During your visits to the dental clinic, your dentist checks not just for tooth decay, but also for early signs of gum disease that you may have overlooked. Professional cleanings performed by your dentist can remove the accumulated tartar that you can’t remove with routine brushing on your own. Soft tissue grafts are used in severe gum diseases when your gum line recedes. This treatment is done by removing a small part of tissue from the palate (roof of your mouth) or another source and attaching it to the diseased site. At the initial stages, the gum disease is called as gingivitis which is reversible. Gum diseases can be very detrimental if left untreated. They may even lead to tooth loss in severe cases. If you notice any signs of gingivitis, then you should probably schedule an appointment with your dentist. Your dentist can verify the severity of your condition and help you to reverse your condition. In the process of developing a routine habit for practicing good oral hygiene and visiting dentist for professional cleanings regularly, you’ll find that your gums have stopped bleeding and have returned to their healthy regular pink state. After proper treatment, your mouth will give off a fresh breath, and your smile will be brighter again. All these signs of improvement in your gums and oral health indicate that you have successfully reversed your gingivitis.